Struggling for Valentine's day gift ideas. Fret not, here's a 5 suggestions for those whose partners love to travel or for those of you taking a Valentine's break. A fragrance is the obvious choice for a Valentine’s gift. SEKSY Entice is a sweet, fruity fragrance which is presented in a lavishly designed 12-sided bottle. I love that it is embellished with a Swarovski® crystal and a detachable Swarovski® charm that can be added to your favourite jewellery. The perfect size to pop in your handbag whilst on your travels. 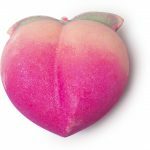 It costs around £25 for 30ml, available from www.seksybeauty.com, All Beauty, and Next Stores. 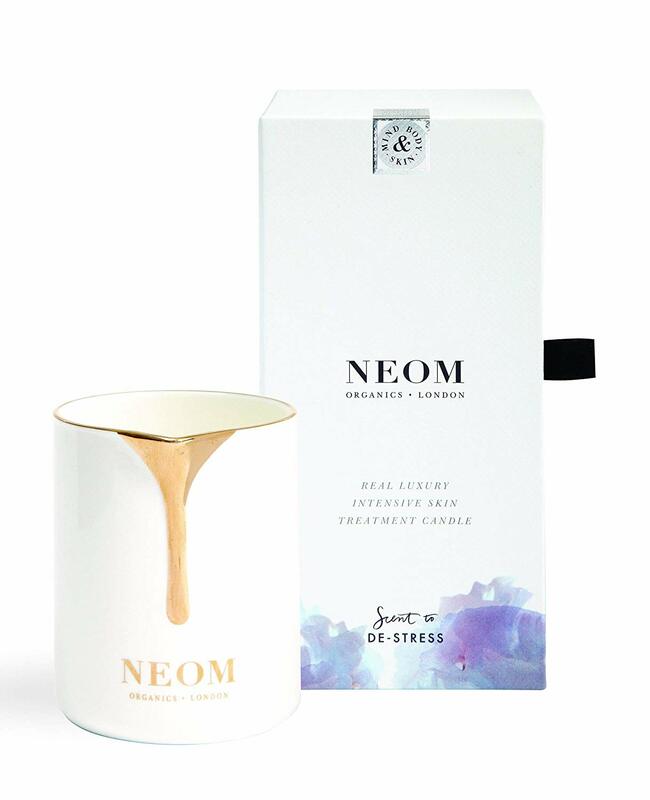 This gorgeous candle turns into an intensive skin treatment. Once lit it gradually melts into its jug-like container, turning into a beautiful body oil. It is made up of lavender, jasmin and Brazillian rosewood plus 21 other essential oils. Once melted the oil can now be used as a deeply nourishing body treatment. It has been formulated to care for dry, stressed skin in need of nourishment. 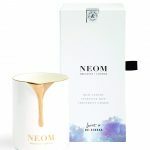 The candle retails at £36 and can be purchased online at Amazon. 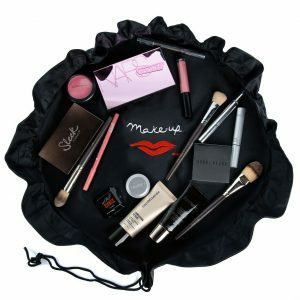 Another cracking gift for the busy lady, especially good for someone on the move, is this clever makeup bag. It unfolds completely flat so you can clearly see all your makeup. Check out this cute blush pink pouch with “you look lovely” written on it, for the lady in your life. It makes a fantastic clutch and is perfect for carrying your handbag essentials. 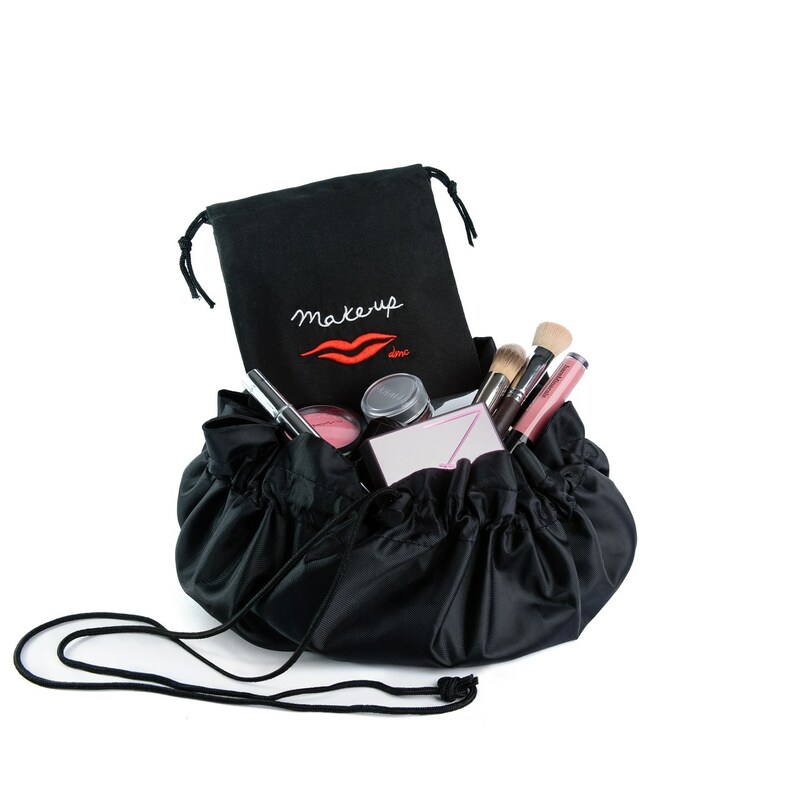 This versatile pouch is also great for holding makeup and is terribly useful when travelling. 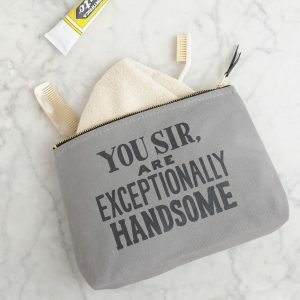 Or for the man in your life, compliment him with this “You sir, are exceptionally handsome” canvas wash bag from Alphabet Bags! The handy size is perfect for travelling but also makes a great everyday wash bag. 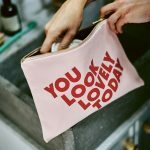 The blush pink pouch is on sale for 20.00 and the man’e wash bag can be found for £24.00 at Not On The High Street.